Legendary Gluten-Free Blueberry Crisp– Legen – wait for it – dary! 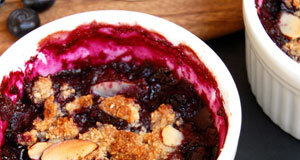 This is the blueberry crisp you’ve been waiting for. 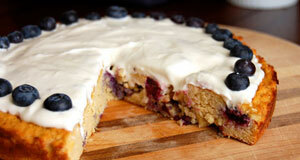 So sweet, so delicious, so blueberry-ie. With the perfect crispiness to the crisp and that hot and moist blueberry filling you just can’t go wrong with this dessert. No-Bake Walnut Cookies– The hardest part about making these no-bake walnut cookies is waiting the 30 minutes for them to set. We won’t judge you if you get to them before the timer dings, as it happens to the best of us. 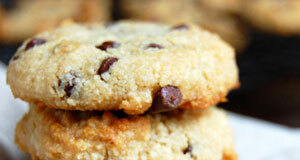 Five simple ingredients for one tasty cookie. Raw Chocolate “Candy Cane” Bites with Goji Berries– A few of these chocolate bites will give you a nice cool sensation in your mouth and also fuel you up with antioxidants thanks to the goji berries. They candy cane flavor comes from natural peppermint extract and there’s even medjool dates in these. 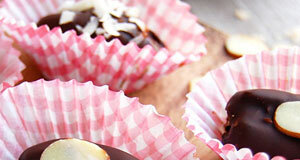 Chocolate Covered Stuffed Dates– Dates never had it so good! These chocolate covered dates are stuffed with coconut flakes and maple syrup so there’s a surprise burst of flavor once you get past the outer coating of chocolate. It’s the sort of dessert where you need more than one. 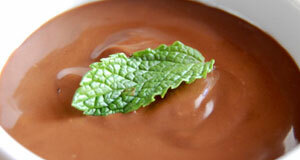 Quick and Easy Dark Chocolate Pudding– A bowl of this quick and easy dark chocolate pudding is just the thing to relax with after a meal. 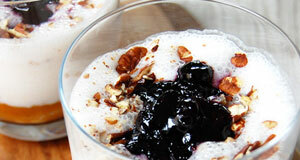 It’s cool and creamy and is completely dairy-free so it’s easy on your digestion. 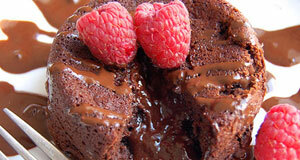 You won’t believe pudding can taste this good! 5-Ingredient Banana Ice Cream– Just five ingredients go into this banana ice cream, and you’d better believe bananas are one of them. The other four include coconut oil, honey, almond butter, and almond milk to make it creamy and smooth. See how it’s made and give it a try! 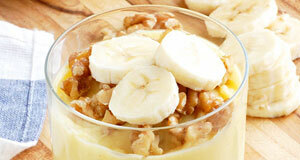 Guilt-Free Banana Pudding– No need to feel guilty after eating this banana pudding. 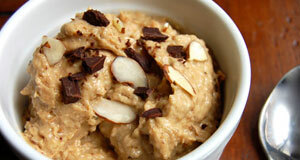 It’s loaded up with potassium and vitamins from the banana and provides you with fiber as well. 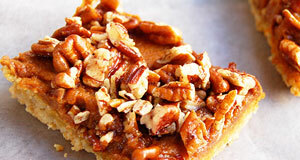 Joining the banana is a walnut topping, which is optional if you’re not in the mood for them. 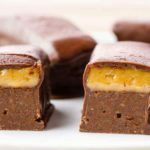 Paleo Salted Caramel “Cheesecake” Bars– Salted caramel is all the rage these days, and you can jump in on this delicious trend without ruining your progress. 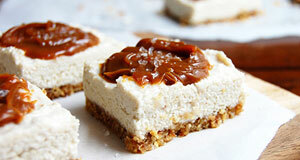 The base is made out of a creamy cheesecake bar, with a generous dollop of salted caramel on top to delight the senses. 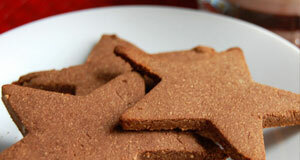 Amazing Gluten-Free Sugar Cookies– Go ahead, have a cookie. You can have your old time favorite with Paleo you just have to make sure that they’re made with the right ingredients, in this case coconut flour and a sugar-free strawberry frosting. Yummy! 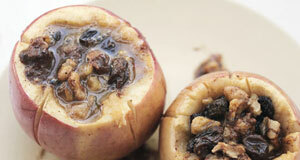 Spiced Autumn Apples Baked in Brandy– You’ll smell these apples when they’re ready, and it will be intoxicating. The baking process helps them soak up the delicious flavor of the brandy and the trio of spices: nutmeg, cinnamon, and cloves. Get ready for a new favorite dessert. Paleo Grilled Peaches with Coconut Cream– Who knew grilling peaches could totally transform their taste and texture? This is sure to be a hit with even the pickiest eater. 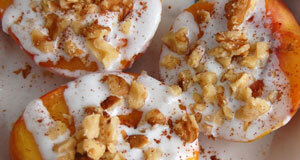 Delicious peaches are grilled up and topped with a delectable coconut cream for maximum summertime flavor. Microwave Chocolate Mug Cake– When time is short but your chocolate craving is long go with this microwave chocolate mug cake. 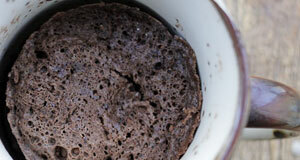 You can go from zero to cake in just a few minutes thanks to the power of microwaving. Our Paleolithic ancestors did not have microwaves, but we do! Easy Paleo Pumpkin Parfait– Everybody likes parfait! This is especially true when it contains so much pumpkin flavor. If fall colors are happening and the air is a little cooler it’s time to break out the Paleo pumpkin parfait and show that you’re totally in tune with the season. 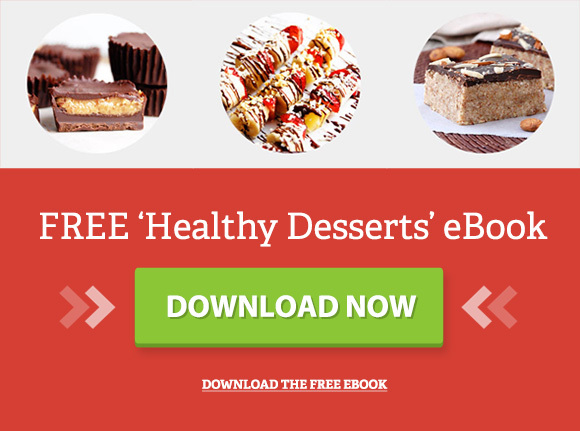 Grain-Free Raw Brownie Bites– One of the secrets of brownies is that you don’t actually have to bake them to make them taste great. 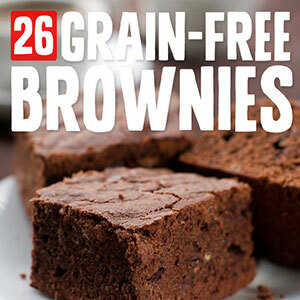 These brownie bites are a fitting example, and are kept grain-free so you can enjoy them as a sweet treat that’s easy on the body. 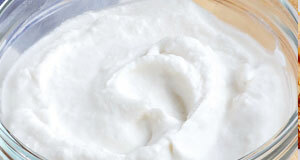 Whipped Coconut Cream– Make up a batch of our whipped coconut cream to top just about any dessert you have a craving for. Just a few added ingredients make coconut milk into something so much better, for a dairy-free indulgence anytime you want. Fruit Dessert Pizza– A dessert pizza is just the thing to turn a rough day into a great day, or a great day into a really great day. From the crust to the toppings this thing screams dessert, and you’ll love how it all comes together in a handheld temptation. 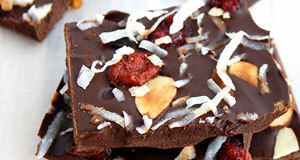 Dark Chocolate Bark with Nuts & Tangy Fruit– When chocolate is in order you’ll get it just right with this dark chocolate bark. It has tangy pieces of fruit melted right into it so you’ll get a bit of chewy fruit to go along with the chocolate that melts in your mouth. Halloween Paleo Apple Bites– When Halloween rolls around be prepared with this Paleo apple bites. They have the look of a caramel apple but they’re actually dunked in chocolate and then decorated with chocolate chips and chopped cashews. Perfect snacks for the kids! Paleo Apple Pie Parfaits– Explore the different layers in these Paleo apple pie parfaits and you’ll be taken to another plane of existence. It’s the combination of real apple flavor plus cool and creamy coconut cream mixed with the sweetness of honey and medjool dates. 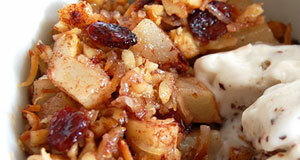 Homemade Paleo Pear & Cranberry Crisp– Pears and cranberries make a great duo in this crisp that begs to be served alongside a scoop of Paleo ice cream. 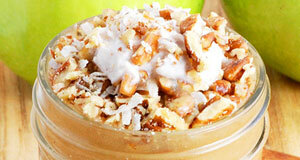 An amazing thing happens when you use wholesome ingredients, you end up with a nutritious and delicious dessert. 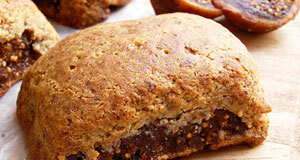 Homemade Paleo Fig Newton Cookies– No longer will you be held captive by store bought Fig Newton cookies. 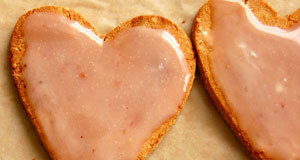 You can now make your own at home with ingredients you can be sure of. 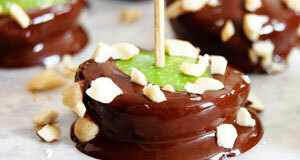 These will hit the spot and make a great sweet treat after lunch or dinner. 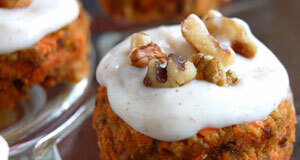 Raw Mini Carrot Cakes with Cinnamon Glaze– Serve up these carrot cakes as dessert and everyone will love that they get their very own mini cake. They come complete with a cinnamon glaze that goes so well with the traditional flavor of carrot cake you’d swear they were made for each other. 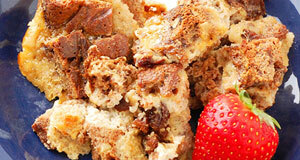 Cinnamon Raisin Paleo Bread Pudding– Even a dessert like bread pudding can be made according to Paleo specifications, and our cinnamon raisin bread pudding is something you just have to try to believe. It has an unbelievable texture and so much sweet flavor for your next dessert. 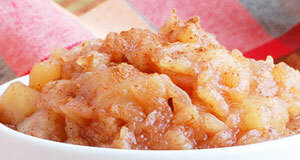 Sugar-Free Paleo Cinnamon Applesauce– When applesauce tastes this good you’ll swear it’s a dessert! Absolutely no sugar is needed to make amazing applesauce, complete with just the right amount of cinnamon to make this a great after-dinner treat that packs vitamins. 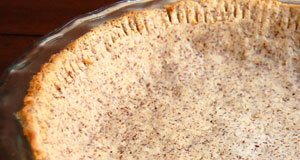 The Best Gluten Free Pie Crust– Start off an amazing pie with the best darn gluten-free pie crust out there. When you go with this crust your pie is sure to turn out amazing, and you won’t have to worry that the crust is setting you back since it’s all Paleo ingredients. Lavender Maca Brownies– Just when you thought brownies couldn’t get anymore delicious, we’ve gone and added the subtle flavor of lavender and the health benefits of maca powder. 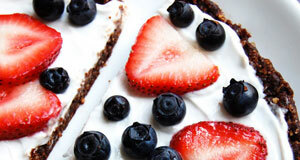 That’s how you turn a dessert into a healthy treat instead of a guilt trip. 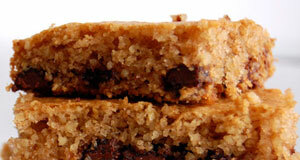 Chocolate Chip Paleo Cookie Bars– The thickness of these cookie bars will keep you coming back for more. Each one eats like two cookies thanks to the chewy thick bar form they’re in. It’s everything you love about this old standby made into bar form for bigger bites. Simple Paleo Chocolate Chip Cookies– Take things back to the good ole days with this simple chocolate chip cookies. They’re just like the ones mom used or make, but totally not because they’re made with almond flour so they’re gluten free and there’s no sugar used at all. 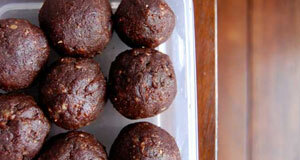 Paleo Chocolate Cookies– Half the fun of these chocolate cookies is cutting them into the shape that you want. That makes them a great candidate for Christmas cookies but they’re also tasty any time of the year. The chocolate flavor is baked right into each bite! Paleo Coconut Cupcakes with Chocolate Frosting– Is there anything more classic than a yellow cupcake with chocolate frosting? 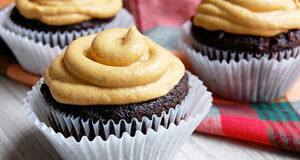 These cupcakes will make you wonder just what sort of diet this whole Paleo thing is. Your brain will be convinced that you’re not dieting at all. Score! Coconut Macaroons with Chocolate and Pistachio– There’s something elegant about a macaroon, and these coconut macaroons embody that elegance. 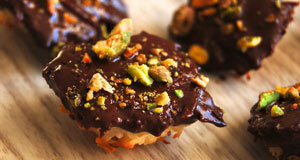 They’ve been turned upside down so that they’re bottoms can get some chocolate action and there’s sprinkles of pistachios for crunch and flavor. Double Chocolate Cupcakes with Pumpkin Frosting– These cupcakes have two types of chocolate in them, and are then topped with an amazing pumpkin frosting. This means more for you to slow down and savor, and also makes them a delicious Halloween treat thanks to the pumpkin flavor. Gluten-Free Blueberry Lemon Cake– This cake looks just as good as can be, and if you serve it to your friends they don’t even have to know it’s gluten-free or Paleo. It’s the sort of cake that’s a crowd pleaser, and it even tastes great days later and stores well in the fridge. 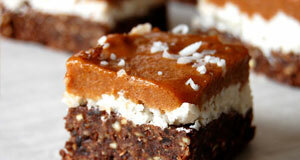 The Best Paleo Brownies– It’s easy to claim you have the best Paleo brownies, but we stick to our claim here. These brownies not only have the right flavor, but also the right texture, and both factor in to how a brownie is perceived. Try them. We know you’ll like them. Paleo Pumpkin Streusel Bars– These bars make a great dessert option because you can make them ahead of time so dessert is ready and waiting for you whenever you’re ready. There’s much to take in with these, including a pumpkin filling and sweet streusel. 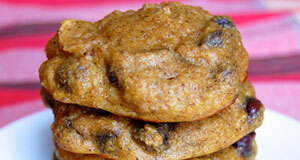 Chocolate Chip Pumpkin Cake Cookies– Turns out there is a way to make chocolate chip cookies even better. All you need to do is add in the flavor and texture of pumpkin cake and you’re all set. Part cookie, part cake, all deliciousness. Fun to make and even more fun to eat! Paleo Molten Chocolate Lava Cakes– If you want to impress your family and friends for dessert make this molten chocolate lava cake. 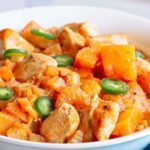 It’s just like the kind you’ll find served up in restaurants across the country, but without any low-quality ingredients and everything 100% Paleo. No Bake Paleo Strawberry “Cheesecake”– At some point you’ll crave cheesecake if you used to love it before Paleo. 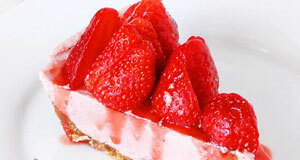 Now you can enjoy the full flavor of a strawberry cheesecake without using any cheese at all. In fact there’s no grains and no dairy whatsoever. See how they do it! 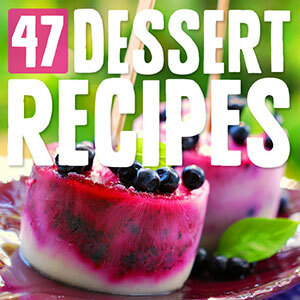 47 Paleo Desserts to Satisfy Any Sweet Tooth– Browse from our very extensive list of Paleo desserts and you’re sure to find something that jumps off the page. Become a dessert aficionado and sample several desserts from this list to form a lineup that you can return to again and again. 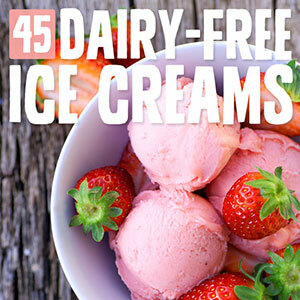 45 Dairy-Free Paleo Ice Cream Recipes– You know how they say we all scream for ice cream? Well you can scream even louder now that it’s totally Paleo friendly and comes in not just 31 flavors, but 45 on our last count. Ice cream heaven is yours for the taking! 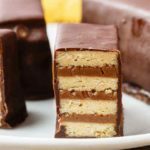 32 Yummy Paleo Cakes– Birthdays and other special occasions just beg for a cake, and now you can make a cake that you’ll actually be able to eat along with everyone else. No grains, no dairy, no refined sugar, just naturally tasty ingredients for maximum flavor. 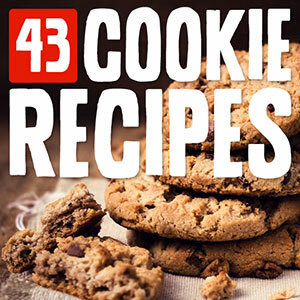 43 Scrumptious Paleo Cookie Recipes– Cookies just have a way of making us feel like kids again, and when they taste this good and are actually good for you you don’t have any sense of guilt while eating them. That’s how kids eat, and it’s how we all should eat. More cookies! 26 Chocolatey Paleo Brownies without Flour or Dairy– Sometimes only a very particular kind of brownie will do. 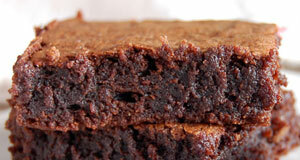 For those times consult our list of Paleo brownies, each with its own unique twist. 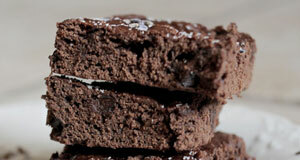 It could be a special mix of ingredients, or a different way to make up the perfect batch of brownies. 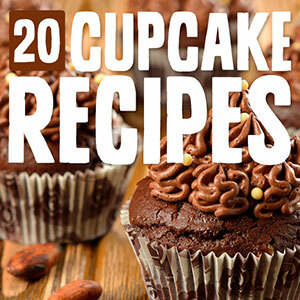 20 Scrumptious Paleo Cupcakes– Cupcakes work great while on Paleo because you can limit yourself to just one or two and you don’t have to worry about eating half a cake. 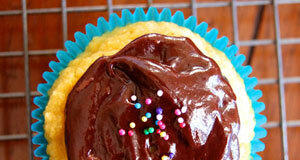 These cupcakes all pass the Paleo test, and are ready for you to bake them up for loads of sweet fun. 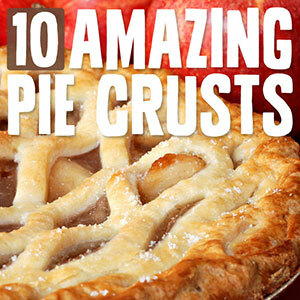 10 Incredible Gluten-Free Pie Crusts– Starting off with the perfect pie crust is key if you want your pie to turn out right. Here are ten different pie crusts to choose from so you can use the one that best suits the type of pie you’re making. They’re all gluten-free and delish. 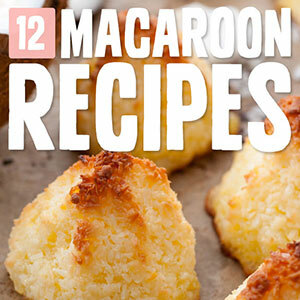 12 Paleo Macaroons with No Sugar or Dairy– No matter what kind of macaroon you go with, you’ll be getting a delicious cookie that crumbles in your mouth and is packed with flavor. 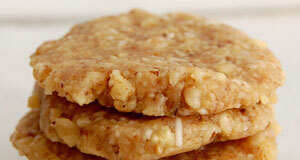 These cookies have no sugar or dairy in them because they’re made the Paleo way. 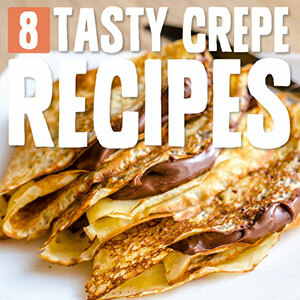 8 Paleo Crêpes to French Up Your Day– You’ll be saying “Délicieux!” when you bite into one of these crepes as a dessert. Crepes can be both a dessert and a breakfast food, and they make a very elegant dessert, perfect for entertaining or when you want to impress someone. 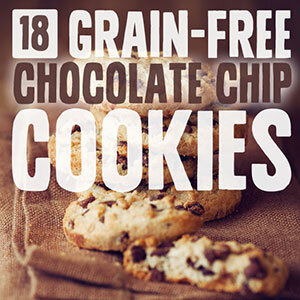 18 Yummy Paleo Chocolate Chip Cookie Recipes– Each of these chocolate chip cookie recipes is a little different. Some stick to the classics, while others try to introduce new add-ins. At the heart of all of them is that bit of nostalgia that keeps us coming back to this time-tested original. 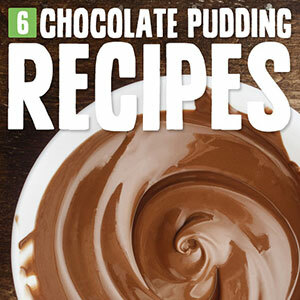 6 Dairy-Free Paleo Chocolate Puddings– If pudding is your thing you’ll want to check out this assortment of different chocolate puddings. 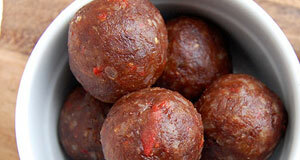 They’re all made with Paleo ingredients so there’s no milk or other dairy products in them. Just pure chocolate flavor and a cool creamy texture. 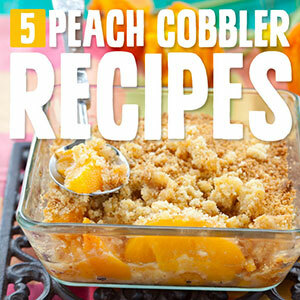 5 Divine Gluten-Free Peach Cobblers– Peach cobbler fanatics rejoice! 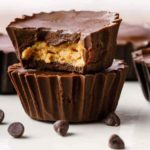 You can have this classic treat with Paleo while avoiding the gluten and sugar that otherwise makes it an unhealthy choice. The nutrition of the peaches is able to make its way to you for a healthy dessert. 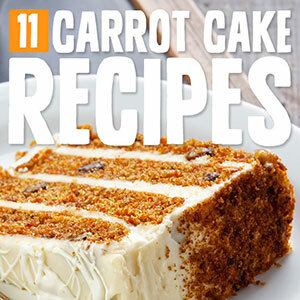 11 Crave-Worthy Gluten-Free Carrot Cake Recipes– Paleo carrot cakes are something you should definitely try if you’ve been missing your carrot cake. 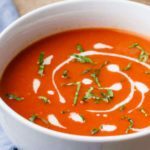 They contain plenty of real, fresh carrots and at the same time are made without any all-purpose flour or other grains. No refined sugar either. 6 Paleo Pumpkin Cookies Perfect for Fall Days– These pumpkin cookies are just the ticket for cooler fall weather. 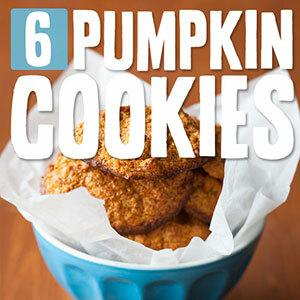 They’re loaded up with both pumpkin flavor and the healthy benefits of eating pumpkin. 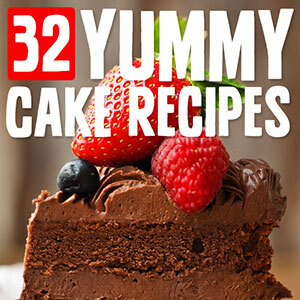 With half a dozen recipes to choose from you’re sure to find one that you love. 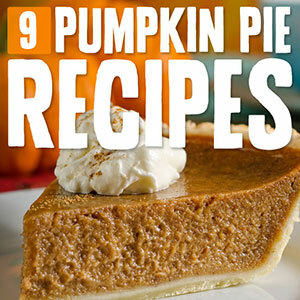 9 Grain-Free Paleo Pumpkin Pies– Let’s get serious about pumpkin pie for a minute. Finding the best pumpkin pie is a process, and one that you should probably complete before the holidays so you know what you’ll bring when it’s showtime. One of these nine pies is the answer. 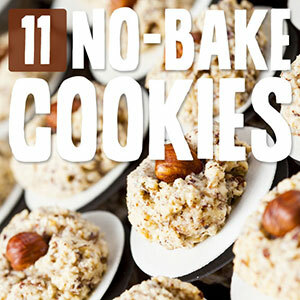 11 Delicious Paleo No-Bake Cookies– Sometimes you just don’t want to turn on the oven. For those times you’ll want to reach for one of these no-bake cookie recipes. All of the fun and flavor of a cookie without any baking required. Just try to remain patient while they cool and set. 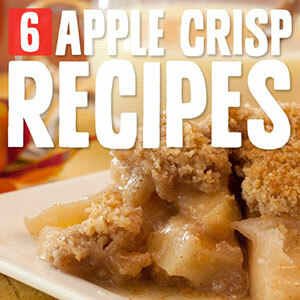 6 Paleo Apple Crisps– Apple crisp really hits the spot for dessert, and you can perfect your apple crisp craft by trying out these different recipes and seeing which one you love the most. Bursting with apple flavor there’s just no way to deny their appeal. 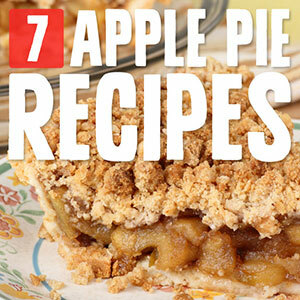 7 Comforting Paleo Apple Pies– Nothing’s quite as American as apple pie, which may be why America is facing an obesity epidemic. Try out these Paleo apple pies to get all of that classic flavor without running the risk of becoming another statistic with an expanding waistline.